A comprehensive look at how tiny particles in a lithium ion battery electrode behave shows that rapid-charging the battery and using it to do high-power, rapidly draining work may not be as damaging as researchers had thought – and that the benefits of slow draining and charging may have been overestimated. The results challenge the prevailing view that "supercharging" batteries is always harder on battery electrodes than charging at slower rates, according to researchers from Stanford University and the Stanford Institute for Materials & Energy Sciences (SIMES) at the Department of Energy's SLAC National Accelerator Laboratory. "The fine detail of what happens in an electrode during charging and discharging is just one of many factors that determine battery life, but it's one that, until this study, was not adequately understood," said William Chueh of SIMES, an assistant professor at Stanford's Department of Materials Science and Engineering and senior author of the study. "We have found a new way to think about battery degradation." 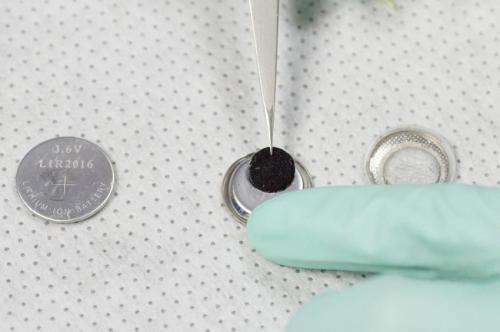 The results, he said, can be directly applied to many oxide and graphite electrodes used in today's commercial lithium ion batteries and in about half of those under development. For this study scientists looked at a positive electrode made of billions of nanoparticles of lithium iron phosphate. If most or all of these particles actively participate in charging and discharging, they'll absorb and release ions more gently and uniformly. But if only a small percentage of particles sop up all the ions, they're more likely to crack and get ruined, degrading the battery's performance. 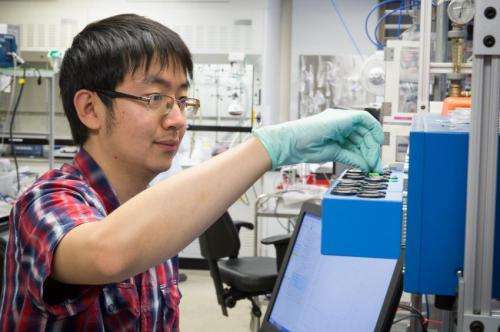 "We were able to look at thousands of electrode nanoparticles at a time and get snapshots of them at different stages during charging and discharging," said Stanford graduate student Yiyang Li, lead author of the report. "This study is the first to do that comprehensively, under many charging and discharging conditions." The next step, Li said, is to run the battery electrodes through hundreds to thousands of cycles to mimic real-world performance. 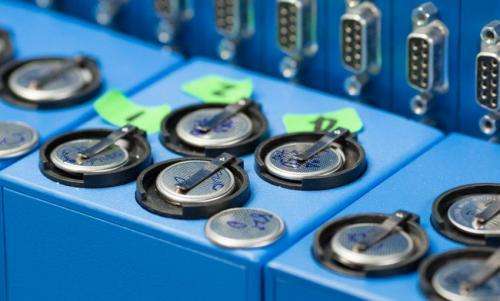 The scientists also hope to take snapshots of the battery while it's charging and discharging, rather than stopping the process and taking it apart. This should yield a more realistic view, and can be done at synchrotrons such as ALS or SLAC's Stanford Synchrotron Radiation Lightsource, also a DOE Office of Science User Facility. Li said the group has also been working with industry to see how these findings might apply in the transportation and consumer electronics sectors.